The Cotonese is a small cross breed dog that is born to Coton De Tulear and Maltese breeds. The name Cotonese is derived from both of the parent breeds. This is a good companion dog and belongs to cross breed group of dogs. 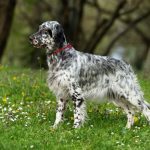 The Cotonese breed is a hybrid breed which is a mix of two pure breeds. 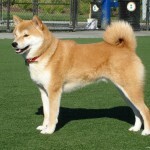 They may have mixture of characteristics of the breeds. The Cotonese breed dog is beautiful, charming and spirited. They love to accompany the family and like to hang out with the owners. All the dogs don’t have same characteristics as they are hybrid breed. 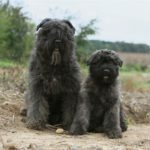 They may have mixture of characteristics inherited from the parent breeds. They enjoy the company with the children and are very playful with the kids. The Cotonese breed can be trained very easily as they respond well to the trainers and they are quick learners. Socializing the Cotonese dogs doesn’t take much time but consistent training is mandatory. The Cotonese dogs are friendly towards other dogs but proper socialization is needed. They are also friendly towards cats and other pets and make sure they are properly trained. 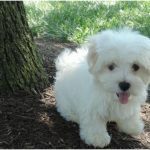 Mostly, Cotonese breed is hypoallergenic but still it is unaware about its hypoallergenic character. The average price of this breed ranges in between $500 to $600 USD. 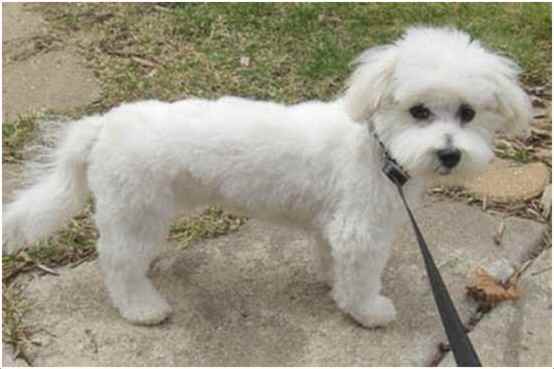 The Cotonese is a small sized dog and measures about 8 to 12 inches (20 to 31 cm) in height on an average. 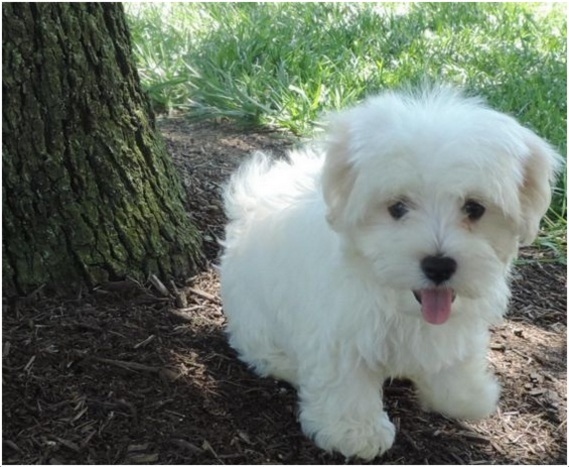 The weight of this breed measures about 6 to 15 lbs (2.75 to 6.8 kg) on an average. The Cotonese has a gorgeous appearance with curly coat and pendulous ears which is totally covered by hair. 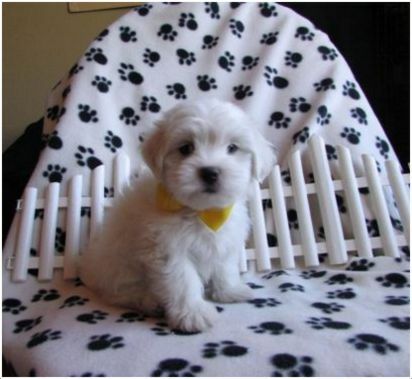 They come in various coat colours namely white, biscuit and cream colour. Mostly, Cotonese comes in white colour because of their parent breeds. They have muscular body, short legs, rounded skull and dark eyes. 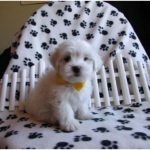 They are the best companion dogs which is suitable to any type of family. They are agile, obedient, happy and affectionate breed. They love to play with the kids and don’t find any trouble with them. They are easy to be trained and they can be easily socialized. The Cotonese dog is intelligent, attentive and warns the owner at the sight of strangers. They like to hang out with the family and enjoy the companionship of the people. There are no significant health issues recognised in this breed. But as this is a cross breed of two pure breeds, some genetic health problems may arise from both breeds. So, check the breed’s health before adopting it as a pet. 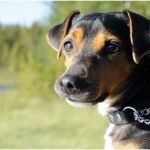 However, regular checkups and monitoring the pet’s health under the supervision of vet can help the pet to be healthy. This small dog needs good nourishment which contains of high quality dry food like meat, biscuits and liquid food like milk and pure drinking water. They need about half to one cup of daily meal and the diet may vary based on the dog’s age, size and activity. Do not over feed the dog which may lead to overweight problem. They can do well in the apartments and can adapt even if there is no yard. They are highly active and always like to play. A fenced yard will protect the dog from external problems and prevents this from chasing animals. They are fine in cooler weather and sensitive to warmer weather. They are energetic, competitive and obedient dogs; so a daily walk or trip to the parks will keep the pet fit and fine. They are always active and love to play games. They like to hang out with family and like to accompany them in their activities. They are good watch dogs and strong protectors for the kids. On an average the Cotonese may give birth to 1 to 4 puppies in one litter size. 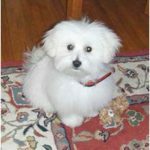 Pay proper attention towards the pet’s and puppies’ health. Consult a vet if any complications are seen. Do not unleash the pet on daily walks or in unfenced areas. Bigger animals, dog thieves and other aggressive dogs may attack the pet which is dangerous to the pet. At a proper age the pet can be taken for professional breeding for healthy crossing. 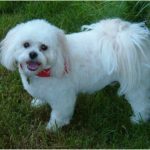 The health condition of pet should be in good state during the breeding process. On an average the Cotonese breed can survive about 13 to 15 years. They can survive longer in healthy environment and good health. So pay attention towards the pet’s health to make it survive longer. Brush the coat once or twice in a week and remove the dead hair or harsh hair from the coat either by plucking or stripping. Occasional bathing is sufficient and prevent the coat from formation of mats. 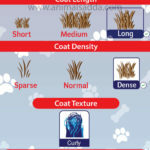 They have curly coat and clipping the coat may decrease the texture of the coat. Brush the teeth regularly to avoid gum diseases and dental problems. Trim the nails, clean the ears and area around eyes to keep the pet tidy. 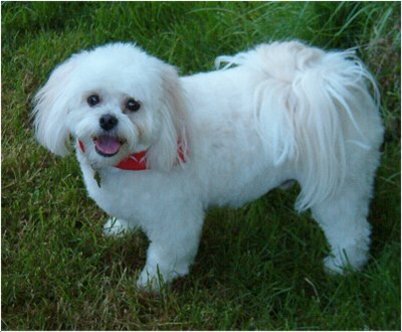 This breed of dogs sheds moderately and some dogs shed little to no hair. 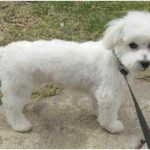 Regular grooming prevents the pet from heavy shedding and keeps the pet clean and tidy.